I just got back from a successful climb on the West Ridge of Mt Hunter in Alaska. This route was beefy. I used the Tenshi during the 6 days on route. It's a great tent. 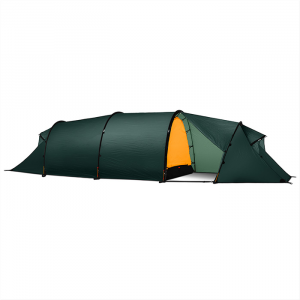 Everything you want from a single wall tent for alpine pursuits. It vents well, is strong, and light weight. There are lighter tents out there, but if the weather craps out, you will want something this strong. The footprint is big enough to get two people and their gear, but not so big that you have to dig a huge snow platform. I plan on taking it anytime I'm going big in Alaska. 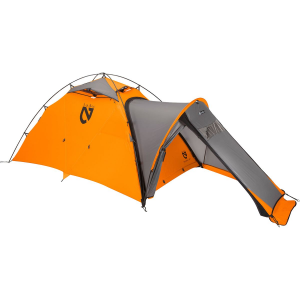 I wanted a lightweight 4-season tent for alpine climbing and mountaineering and the Tenshi fit the bill. The general design of the tent is similar to the Bibler but the Tenshi seems to have taken it to the next level. The Tenshi also comes with a free vestibule, whereas it costs extra in the Bibler. Caution: you have to seam seal a lot of seams around the outside of the tent in order to make it totally waterproof. The tent comes with a bottle seam grip and a guide to help you do this. I found this a royal pain in the you know what, but hopefully it only has to be done once. How roomy is the tent? As a solo tent it is a palace. For 2 people it's pretty tight. It basically has room for 2 full size sleeping pads side by side and not much else. Packs, boots, etc. will definitely go outside. 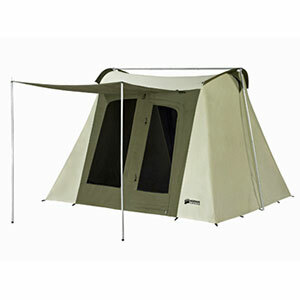 The Tenshi has 2 poles that are simply placed inside the tent, no sleeves or clips. There are some velcro tabs on the inside which hold the sleeves in place. 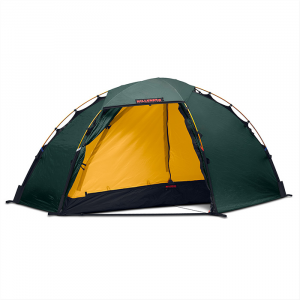 This is a really cool design that makes the tent super easy to pitch and reduces the weight. Unfortunately one of the velcro strips doesn't seem to be very sticky, it releases without much force at all. This is probably the biggest problem with this tent so far. This is a single wall tent made of waterproof breathable fabric. It really does breathe pretty decently. I did have a real problem with condensation though when it was pouring rain and around 30 degrees outside. The condensation was dripping off the tent walls and forming a puddle on the tent floor. The people at Nemo tried to address condensation as best they could. There are 3 large roof vents, a back window, and front door can all be opened for ventilation. The tent also comes with a "condensation curtain". A nylon curtain creates a compartment in the tent for your heads, cutting it off from the rest of the tent. One of the roof vents is at the top of the compartment. 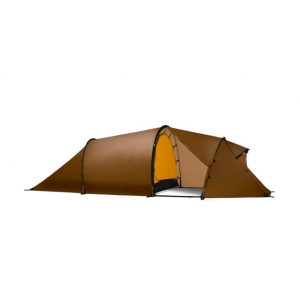 It is designed to keep the moisture from your breath from making the whole tent wet. It works. The vestibule is pretty roomy for a tent this small and has a lot of headroom due to the vestibule pole. It does add about 2 lbs though, which adds 50% to the weight of the tent. I had this tent out in -30 degrees F. The tent seemed to have shrunk slightly, making it much more difficult to pitch. We got a lot of ice inside the tent too, despite having all windows/vents open. In addition if you're taking this tent on a technical climb it has a waterproof tie-in feature on the roof, very similar to the Bibler big wall bivy. Pros: LIGHT and simple design, easy to pitch. Very weatherproof, handles wind and snow well. 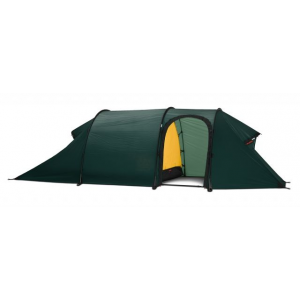 Breathes better than any other single wall tent. Vestibule is removable to go lighter, bring it with you for a great deal more room. Cons: velcro strip inside was poor quality. You must seam seal the tent. Condensation inevitable in rainy conditions. Very small tent for 2 people. I spent a week in this tent this spring, three warm nights in the south and four very cold and very rainy nights on the way back north. It did a great job in both conditions. When it was warm at night it was easy to open the vents which allow for great air circulation. On the cold and wet nights though I made the mistake of not properly venting the tent and we woke up to condensation dripping from everywhere, I neglected to use the condensation curtain that night as well so I'd say this was more my fault than it was the tent's. One suggestion is to sleep with the door open when the vestibule is on so you can allow for better air flow. The vestibule is easily big enough for two full packs and your boots and anything else you can think of putting out there. I'd say it's well worth the extra weight in bringing it along. My only complaint is that it's not as easy to set up as I was expecting. Since the tent sets up as tight as a drum the poles require some serious tension to get them to seat into their positions properly. I slightly bent one of them trying to force it too hard on one of the first couple times setting it up. By the end of the week however I noticed I had figured it out a bit more and the tent seemed to have loosened up making the whole operation a lot easier. The tent never leaked, it easily handled some pretty strong gusts and there is plenty of head room and elbowroom to allow for two people to move around well. The condensation curtain is an awesome idea and I wish I'd have used it every night. One last gripe is that it doesn't pack down as small as I would like. The stuff sack they give you is a great idea but it doesn't allow for you to really compress the whole package down to a very convenient size. Nothing a cheap compression sack can't take care of though.